This news article was originally written in Spanish. It has been automatically translated for your convenience. Reasonable efforts have been made to provide an accurate translation, however, no automated translation is perfect nor is it intended to replace a human translator. 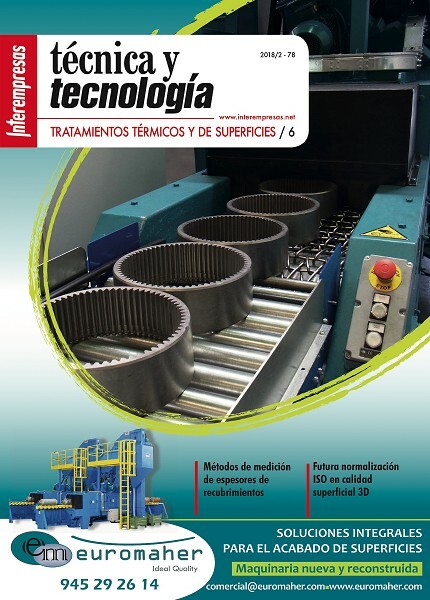 The original article in Spanish can be viewed at Evolución técnica de la máquina-herramienta. Reseña histórica. Technical evolution of the machine tool. Historical notes. 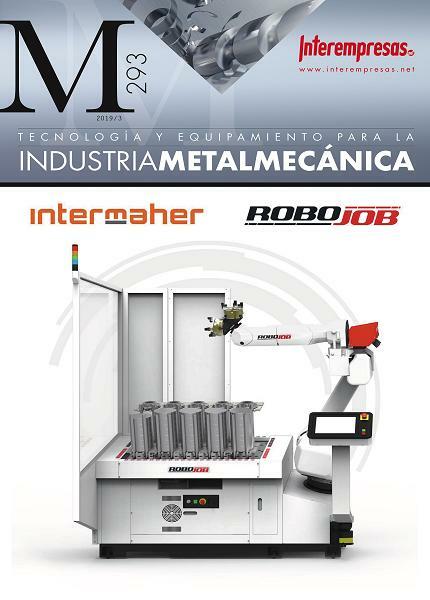 Since prehistoric times, the technological evolution of machine tools was based on the binomial herramienta-máquina. For centuries, tool was the extension of the hand of the man until the emergence of the first rudimentary machines who helped in their use. Although in antiquity did not exist as such machine tools; However, appeared two sketches of machines to perform operations of turning and drilling. In both cases, using one hand, it was necessary to create a movement of rotation of the workpiece in turning and tool in drilling. Because of this need was born the so-called "arc of violin," instrument of alternative rotating drive consisting of a bow and a rope, used since thousands of years ago to the present day that residual form is still used in some countries. To 1250 was born pedal and flexible pole lathe driven with foot, representing a breakthrough concerning the powered with ARC since violin which allowed to have free hand for the handling of the tool for turning. Until the end of the 15th century did not occur new advances. Leonardo da Vinci, in his "a Atlantic Codex", made a sketch of several lathes that could not be built due to lack of means, but which served as guidance for future developments. It was a lathe for threading alternative twist, one of continuous rotation to pedal and a third for threaded with spindle pattern and interchangeable wheels. Early in the century XVI Leonardo da Vinci had designed three main machines the coined coins: the laminating, the trimmer and rocker press. Apparently, these designs were used to Cellini to build a rudimentary rocker press in 1530, but widespread implementation is attributed to Nicholas Briot in 1626. The discovery of the combination of the pedal with a stem and a connecting rod allowed its application at first instance to the wheels of sharpening, and shortly afterwards the lathes. Thus, after so many centuries, born called continuous rotation of pedal and wheel lathe, which involved the use of crank that should of be combined with a flywheel to overcome points killed, "high and low"
At the end of the Middle Ages used the afiladora machine that uses rotating abrasive stone, the bow drill, the berbiquí and the lathe of continuous rotation, working with poor carbon steel tools. Used forging hammers and rudimentary guns barrenadoras, powered by water wheels and transmissions of nuts and bolts of wood type "flashlight". Began the manufacture of metal gears primarily brass, applied to instruments of astronomy and mechanical clocks. Leonardo da Vinci spent much time to calculate relations of gears and ideal forms of teeth. It was thought that all the conditions for strong development already existed but was not the case, until the mid-17TH century technological development was virtually nil. The lathe of continuous rotation, with some improvements, continued using for a long time. Introduced elements of cast iron, such as the wheel, the supports of the main shaft, counterpoint, supported by the tool and to 1568, Chuck. It began to mechanize small pieces of steel, but it took many years to be generalized. The Reverend Plumier in his work "tourner l´art" written in 1693, points out that few men capable of turning iron are. The Frenchman Blaise Pascal, child prodigy in mathematics, States the principle that bears his name in the "Treaty of the fluid balance" in 1650. He discovered the principle of the hydraulic press, but no one would had thought its application for industrial uses until Bramach patented his invention of a hydraulic press in 1770 in London. But it seems that they were the French brothers Perier, from 1796 to 1812, who developed hydraulic presses for the coined of currency. It is from 1840 when Cavé began the manufacture of high pressure hydraulic presses. In the 17TH and 18th centuries, the makers of clocks and scientific instruments used lathes and machinery of threading precision, highlighting the lathe for threading of Jesse Ramsden English built in 1777. In support of iron of triangular profile was placed the porta-herramientas, which could be slid longitudinally. With a crank-operated by hand and through a set of gears to turn the piece and threading placed between points and, at the same time, by means of a screw thread pattern was achieved progress or desired thread step. The 18th century was a period in which man devoted all his efforts to achieve the use of a new source of energy. The Frenchman Denis Papin, with the experienced of his famous magic potion, made in 1690, unveiled the fundamental principle of the steam engine. Soon after, in 1712, Thomas Newcomen initiated the construction of rudimentary steam engine - machines of fire - that were used to shrink the water in British mines. But it definitely was James Watt who designed and built steam for industrial use. Watt conceived his idea of steam engine in 1765, but did not solve the problems to build a valid industrial machine in 1780 until fifteen years later. After many failed attempts, and because that was not possible to obtain tolerances in machining of cylinder with barrenadoras-boring machines of the era by having been designed for machining of gun, it was John Wilkinson in 1775 who built, commissioned by Watt, a boring more technically advanced and greater precision,-operated just like the previous ones by means of a hydraulic wheel. With this machine, equipped with an ingenious head rotating and sliding, was achieved a maximum error: "of the thickness of a coin of Sixpence in 72 inches in diameter", very rude tolerance but sufficient to ensure the adjustment and Hermeticism between piston and cylinder. The Watt engine was the origin of the first industrial revolution; producing far-reaching changes, technological, economic and social; but its construction would not be possible without the technical evolution, as we have seen, the machine-tool. The steam engine provided power and regularity of operation unimaginable up to that point; but it was also not subject to the servitude of a particular location. During the Napoleonic wars was highlighted the problem that created the lack of interchangeability of parts in the armament. It was a problem that had to find a solution, to manufacture interchangeable parts. He had to design appropriate machine tool, given that there was no uniformity in the measures or existing machine tools could be considered as such. Henry Maudslay, one of the leading manufacturers of machine tools, English was the first who admitted the need to give greater precision to all machines designed to build other machines. In 1897 built a lathe for bending that marked a new era in the in the manufacture of machine tools. He introduced three improvements that allowed to significantly increase its precision: the construction of the all-metal structure, the inclusion of flat guides of great precision for the sliding of the car porta-herramientas and the incorporation of screw-threaded spindles of precision for the actuation of the progress. Mechanical elements that are still essential today. Boring of j. Wilkinson-operated hydraulic wheel, manufactured in 1775 commissioned by James Watt. Achieved a precision "of the thickness of a coin of Sixpence in 72 inch diameter" (Science Museum, London). Drills fully metallic desktop, with axis rotation drills porta powered by hand or by transmission built by Nasmyth in 1938 (Science Museum, London). In 1800, Mudslay built the first lathe made entirely of metal for tapping screws, being its central spindle guide pattern. It is said that Maudslay spent ten years of work to achieve a satisfactory standard spindle. To complete the cycle and have a reference to starting, it was necessary to be able to accurately measure the manufactured pieces, in order to comply with the specifications to be interchangeable, Maudslay built a screw micrometer in 1805 for his own usethat he was baptized with the name of the Lord Chancellor. James Nasmyth, gifted disciple of Maudslay, said, referring to this system of measurement, which could measure the thousandth part of the inch. Maudslay was built in 1803 the first vertical amortajadora to get chaveteros to pulleys and gears and other various machines. If the steam engine was the engine which made possible the development of the machinery, by providing the necessary energy, industrial development in the 19th century was made possible through the design and manufacture of various types of machines and work processesapplied to the manufacture of metal parts of all kinds. The manufacture of the machinery of steam, ships, railway, automobile, rolling mills for the steel industry, textile machinery etc., can only be made by using machine tools. With the particularity that the machine tool. is the only existing means with which can be manufactured in other machine tool and, in general, also the only way to make any other machine or element constructed with metallic materials. The influence of Maudslay in British machine tool building lasted for much of the 19th century through his disciples. The three most important manufacturers in the next generation: Richard Roberts and Joseph Whitworth had worked on his orders and James Nasmyth was his personal assistant. Throughout the 19th century were built a variety of types of machine tools to respond, in quantity and quality, to the processing of all the metal parts of the new products that were developed. It is necessary to plan iron plates to replace the engraving, so was born the first toothbrush practical bridge for industrial use manufactured by Richad Roberts in England in 1817, which incorporates a guide in V and the other flat to the displacement of the table carries pieces. In 1836 Whitworth built a small brush bridge for machining parts of 1,280 mm, width 380 long. The need to replace the work of chisel and lima, in small pieces was the reason that prompted James Nasmyth in 1836 to design and build the first limadora, baptized with the name of "arm of steel of Nasmyith". In 1840 Whitworth perfected this machine, incorporating a descending automatic device in the car porta-herramientas. A breakthrough in the production of coins, to develop the German mechanic Dietrich Uhlhöm a bent press known as the monedera press, which is perfected by the company Ludwig Lówe occurs to 1817. The French Thonelier manufactures a similar press and introduces the procedure of starting virola. From 1863, the ground engineer and Barcelona Maritime begins to manufacture presses type Thonelier for the House of the currency in Madrid. At the Paris exhibition of 1867, French Cheret introduced the novelty of a mechanical press for friction. The first machines of this type were put into operation in the factory of the Paris Mint. Shortly thereafter in 1870, the American company Blis & Williams produced and marketed the first eccentric presses. The first operations of milling before the construction of machines specific for this work were powered lathes to pedal, but birth and its evolution is related to the war of independence, when the British colony in America had to undertake their own industrial development. The need to manufacture weapons in major series was the determining factor in the development of the milling. The American Ely Whitney was commissioned to produce large numbers of rifles for the Government of his country. He studied the possibility of mass production, for which design and was built in 1818 the first milling machine. It consisted of a wooden frame supported by four legs of wrought iron. The table porta-piezas moved longitudinally on guides in the form of tail of Milan and, among other mechanisms, highlighting an axis host which could be disengaged and desembragar on a jagged Crown hosted on the spindle of the cart. An all-metal milling machine is built in 1830 which joins a wagon for the vertical regulation. In 1848 the prominent American engineer Howe introduces new features, incorporating pulleys in three steps and displacement in vertical, longitudinal and transverse direction. Two years later he designed the first Copier milling of profiles and decisively influences the introduction of other significant improvements. A very important breakthrough occurs in 1862, when j. r. Brown built the first universal milling machine equipped with divisor, console with vertical scrolling, cross course and advance automatic longitudinal table with the implementation of the transmission Cardan. With the universal milling machine built in 1884 by Cincinnati, which was incorporated for the first time a sliding cylindrical RAM axially, reaches the maximum development of this type of machines. Because of the influence it has had on the construction of the current centres of milling CNC, notably the French p. Huré milling machine built in 1894, that it incorporated an ingenious head which, through previous rotating movement, it could work in horizontalvertical and other positions. Towards 1840 develops a machine that was essential for the slab of railway parts. At the same time, Bourdon in France and Nasmyth in England developed and built the might hammer powered by steam. It was the right method for the shake of large masses of steel until appeared the hammers of free fall at the end of the 19th century. Before the need for drilling steel pieces, becoming thicker, Nasmyth was the first built to 1838, a fully metallic desktop drill, with axis rotation carries powered drills by hand or by transmission. Some years later, in 1850, Whitworth built the first column drill powered transmission Correa and rotation of the shaft carries bits, through a set of bevel gears. He wore a table porta adjustable pieces vertically through the pinion rack system. In 1860 there is a very important for the drill event, to invent the Swiss Martignon helical drill. The use of these drills spread quickly, given that it represented a breakthrough in production and duration of the tool compared to spearhead drill bits used to this date. The English Joseph Whitworth, influenced by his teacher Maudslay in advances related to the precision, importance tornillo-tuerca, built a machine of measurement which improved the accuracy of the built by Maudslay, and was especially interested in the solution to the problem of machine-tool guides, and other surfaces that should truly be flat. After intense study, in 1840 presented a letter to the British Association in Glasgow, entitled: "One true flat surface, rather than being in common use is considered to be virtually unknown", in describing the method for obtaining a flat surface on the basis of three flat metal parts. Whitworth perfects parallel lathe, so that the monopolea of 1850 has validity until today, and it was only improved from 1890 with the addition of the Americans from the Norton box. Whitworth, in addition to many and good machine manufacturer, highlighted in the manufacture of tools and was who solved the anarchy of threads and the damage that is derived from this situation. He developed the Whitworth thread system, based on the inch. Introduced quickly in the industry, in 1841 he was adopted by the Institute of Civil Engineers in England. The Americans did not accept this standardization, adopting the Seller system, which differed very little from the English system in 1868. Whitney co, built in 1818 to produce large numbers of rifles in number during the war of American independence. An axis host which could be disengaged and desembragar stood out on a jagged Crown hosted on the spindle of the cart. Up to 1850 the English were the leaders and practically the only manufacturers of machine tools; but as of that date are devoted mainly to the design and manufacture of large machines, in order to give solution to the machining of parts for the railways which were committed. It was at this time when the Americans were imposed in the world in the manufacture of light machinery, until the end of the 19th century, to develop new and important types of universal machine tools and production, for machining screws, pieces of sewing and writing machines, armament, machinery etc. The need to perform different operations on a same piece masts, turrets were incorporated to 1854 revolver to conventional lathes for making screws and small pieces of revolution. A few years later, in 1858, H.D. Stone designed the first lathe revolver manufactured by "Jones & lamson" from bar; but it was from 1860 when companies "Brown & Sharpe" and "Pratt & Whiney" began to manufacture normally this type of machines. As a complement to the lathe revolver, by 1870 developed automatic lathes to give solution to the production in large series of small pieces of revolution. The first winch was designed by Spencer and manufactured by "Hartford Machine screw". "Pratt & Whitney" built the first automatic tone with charger parts in 1898 and the same year "The National Acme", the first lathe multihusillo. From 1865 the performance of the machines increases to equip itself with new tools made of steel alloy, discovered by Robert Mushet. This allows to double the capacity of machining on the familiar tools of steel carbon to the Crucible until then. In Paris in 1843 the French built the first artificial tooth, initiating the process of substitution of sandstone rocks. For the grinding of cylindrical parts was used in the first instance the winch; by coupling his longitudinal chariot a head porta-muelas, weighted grinding lathe. In 1870 "brown sharpe", manufactures and offers the market the first universal grinding machine, not to reach such quality until that in 1880 added a device to the internal grinding. The company develops the grinding of flat surfaces, building a small grinding machine in 1880 to small pieces and a grinding machine bridge in 1887 for large parts. The real development of the grinding of abrasive tools production does not start until the end of the 19th century. Two circumstances favored this development. On the one hand, the demand for the car industry requesting pieces of steel tempered and finished with a high degree of quality and, on the other hand, the discovery, in 1891, by Edward Goodrich Acheson of silicon carbide, carborundum: the discovery of Acheson allowed to have a powerful tool to develop speeds of court, prompting the construction of more powerful and precise machines to respond to the new demands of quality. By the end of the 19th century, the English company Churchill and the American Norton, Landis, Blanchar, Cincinnati, etc., had developed virtually all grinding machines types which, in its architecture and mechanical components, are used in our days. From 1898, with the discovery of the high speed steel by Taylor and White, are manufactured new tools with which triples the peripheral cutting speed, increasing the capacity of detachment of chips, in the order of seven timesusing machines adapted to new circumstances. The new century was received as the beginning of a new era, that had great potential for progress. In the United States circulated around 8,000 cars, but there was an organized industry nor the thousands of products that have been developed during the 20th century, but had enthusiasm and a strong confidence in the future. The Polyphase system of generation of Tesla in 1887 ensured the availability of electricity for industrial uses, consolidating itself as a new source of energy capable of guaranteeing the formidable industrial development in the 20th century. It appears just at the right time, when 19th century energy sources are inadequate. Direct current motors manufactured on a small scale, and the alternating current, received a major boost at the beginning of century, replacing the steam engines and turbines which bumped up to that point the transmissions of the industrial workshops. Soon after, very slowly but gradually, are coupled directly of form individualized to the machine tool. In the early century were not required manufacturing tolerances greater than 0.001 inch due, on the one hand, to still not to lack greater accuracy for products which are manufactured and, on the other, to which machine tools had not achieved a greater degree of precision. But before the new requirements of quality began to use tolerances in thousandths of a metre from 1910. United States was the world maker of micrometers earlier in the century, and the measurement of the maximum accuracy in a workshop depended on this instrument. The demand for quality and the strong productive evolution of the car contributed to the development of machine tools, weights and measures and the implementation of the manufacturing processes in mass. The manufacture of interchangeable parts increases constantly, and it is necessary to improve the performance of tooling and equipment. In response to the problem, the Swiss engineer Prrenond Jacot designs and produces a vertical drilling and milling machine with a table of polar coordinates, where operations are executed with a precision never achieved until then. In 1908 Henry Ford manufactures the first car produced in series, model T, and in 1911 installs the first conveyor chain in Highland Park, started mass production. A lot of machine tools adapted to the characteristics required by the automotive industry is perfect. Since the beginning of the 20th century until the birth of the numerical control (CN) and even later, remain practically in all machines architectural forms that, in this sense, reached its fullness at the end of the 19th century. However they evolved and built other more powerful, rigid, automatic and precise, and can reach higher speeds, with the addition to the heads of bushings or ball bearings; profitably contribute to the extraordinary increases in productivity achieved by the industry in general and especially for the automotive and aeronautics. This evolution was due fundamentally, on the one hand, to the discovery of new cutting tools as we have seen: carbide of high speed steel, silicon and, after 1926, produced another breakthrough with the discovery by the German company Krupp cemented carbide hard metalpresented at the Leipzig fair in 1927 under the Widia name. On the other hand there is the automation of various movements through the application of electric motors, hydraulic, pneumatic and electrical systems. The application of hydraulic drives, first grinders and then copying lathes, etc., was made possible, on the one hand, due to the improvement in the construction of precise and hermetic cylinders, and, on the other hand, to the development of pumps capable of pumping oil under pressure for the actuation of the aforementioned cylinders. This was made possible by the ability of two great engineers: the American Janney, who designed and built in 1906 a variable displacement piston pump, and the English Hele Shaw who built, in 1912, a rotating radial piston and variable displacement pump. From 1925 on United States magazines seek autonomous units of machining and the notion of transfer of parts is born to machining. Bearing in mind that, with few exceptions, all machining operations that combine the rotation of a tool with a movement of progress can be made with these units; It was discovered the ideal machine to ensure that, in line, be able to perform various operations through transfer of the workpiece for machining. From the year 1945 car factories widely used transfer machines, composed of autonomous units, machining of blocks and cylinder heads. In 1943 a new procedure of revolutionary work was developing. The marriage of Russian scientists Lazarenko, announced their discovery and launches the first devices that subsequently allowed the machining by EDM. 1950S appeared the first machines, which were basically used elements from other conventional that incorporated a generator, a tank for the dielectric, electrode in the shape of the mould to machine, etc. In 1955 they appear in United States the first wire EDM machines designed as such to be machined by penetration; revolutionizing the difficult and costly system of manufacturing of molds and stamps. Many years later, supported by the CNC, EDM is developed by wire, which allows the cutting of precise and complicated profiles through an electrode consists of a very thin wire and a history of piece controlled by CNC. The first machine tools manufactured in Spain: the press type Thonelier, built by "La Maquinista Terrestre y maritime" in 1863 for the House of the currency in Madrid. He built the first pesetas, now missing. The electronics - and computer which is supported by the first - have led to a new industrial revolution. The starting point must be placed in 1945, when two scientists from the University of Pennsilvanya, John w. Manclhy and j. Presper Ecker created the first digital electronic computer which has really worked in the world. Known as ENAC, was voluminous, it consumed a lot of energy and it was difficult to program, but it worked. In 1948, John Parson starts the application of the numerical control machine tools, in order to solve the problem of the milling of 3D complex surfaces for aeronautics. In 1949 Parson hired the design of the servomechanisms of control for a milling machine with the Massachusetts Institute of technology. In 1952 operated an experimental control, applied to a Cincinnati milling machine. The programming used a binary code on paper tape, and the machine running simultaneous movements coordinated on three axes. 1955 Presents a few machines at the fair in Chicago, governed by cards and punched tape the U.S. Air Force is interested in the system and made an order for 170 machine tool value of $ 50 millionseveral prestigious American manufacturers to benefit from it. But the models developed during the 1950s and 1960s were very effective and were very expensive. It was from the 1970s, with the development of microelectronics, when CN becomes numerical control (CNC) computer for the integration of a computer in the system. But it definitely was in the 1980s when there is the widespread application of the CNC, due to the development of electronics and computer science, causing a revolution which we are still immersed. In addition to its incorporation to the milling machines, the application of the numerical control was extended to boring machines, lathes and drills. But quickly found that there was a potential for automation than that available on classic machines and a new machine concept emerged: the call centre of machining. Thus was born a machine tool capable of milling, drilling, tapping, mandrinar, etc., which includes a storage of tools and a system of automatic change of the same, so the numerical control orders the positions and trajectories of parts and toolsadvance speeds, turning tools and selection of them. The technological advances of the CN has been the dominant aspect, affecting all machine tools, even to the universal. In some aspect, the machines have become more simple, because certain functions have been transferred of the mechanical system to the electronic. The control has been simultaneously of several axes, as it is the case of the centres of machining, lathes, etc., which was not possible until the implementation of the CNC. For several years it should be noted the increasing demand to equip the machines advanced loading systems and download automatic manipulators, articulated robots, frames, etc., the individual machine becoming a small flexible cell. This is due to the requirement of the processing industry, mainly in the automotive industry, which has put in place processes of discontinuous manufacture, notion that covers the manufacture in small and large series. We have a revolution that is moving from an economy based on the principles of mechanics, i.e., in mass production, in the uniform nature of the products, etc. to an economy that is characterized by the flexibility, the rapid response to the evolution of the markets, the adaptability of products, etc. 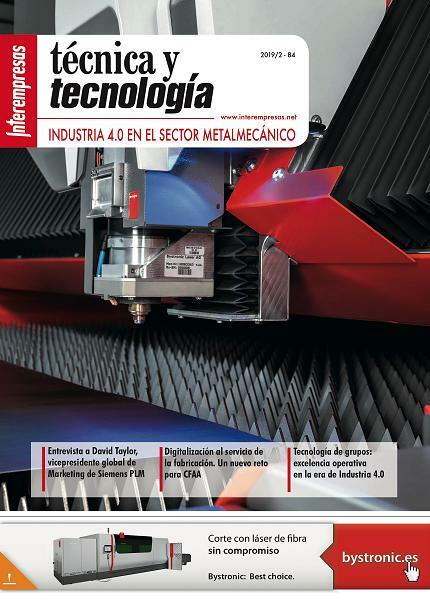 This has been necessary to integrate technologies based on mechanics and electronics - Mechatronics - what has been going into a new industrial culture conditioned by a global and multidisciplinary approach to the problems of production. Seyanka, shows the most advanced technology today. It's an architecture of parallel kinematics of stiquito type, developed by the Fundación Tekniker. Still need some time to make it widely. In the future, perhaps, this type of machines are considered history. Is it perhaps too moved in a direction and it seems that the establishment of lines of manufacture flexible, for cells, more cost-effective, more reliable and less maintenance problems, has been stopped while this exclude that these cells are designed in such a way that in the future they may be integrated into more complex systemsthe automatic manufacturing-oriented. Now moving in the manufacture of cells or lines that make up different types of machines and installations, to carry out the complete process of parts in a single subject, the same for prismatic parts than rotation. The high degree of automation has not adequately corrected the degree of utilisation; contacting revealed deficiencies in terms of availability of machines and systems, and therefore an insufficient productivity in relation to its high cost. In most cases, when you start the process of machining parts in a machine only 40% of the total time available are to be machined, and the remaining 60% is consumed on the other hand tools, loading and unloading of piecepositioned, faults, breakage and sharpening tools, etc. However, the current situation of micro-electronics, with the possibility of acquiring open controls based on personal computers; It allows incorporating and processing, advanced machines, automatic measuring equipment, sensors to detect faults, vibration, wear or breakage of tools, etc., providing them with a high degree of autonomy, which will make it possible to realize a prolonged work unattended, either when these machines work individually than when they are incorporated into a system. 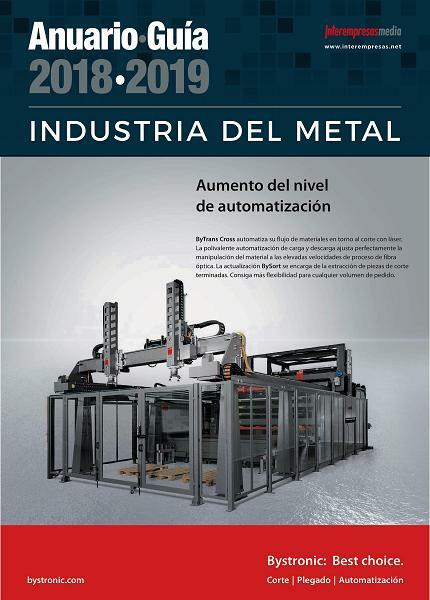 We have witnessed a period of great technological advances in the design and construction of machine tools, but it seems necessary to continue reviewing concepts and proceed to optimize the application of existing technology. Users generally require increased availability of machines and systems, i.e. higher degree of use, or more time shedding chip. 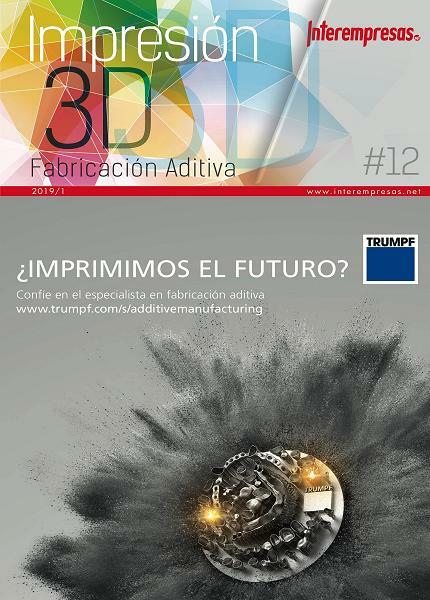 They are asking machines more adapted to their needs, more reliable and higher quality and precision. On the other hand, a large number of machines is them is demanding greater accuracy and reliability, more power and availability to work at high speed, which means to provide them with greater rigidity. In machines working for deformation, in which the press is the typical exponent, the impact of Electronics has been less in general that among those working by chip detachment. However, represented a revolution its application to the punching machines, folding, cutting machines by laser and some types of machines that combine cutting punching and laser. It has tried to introduce and generalize the application of new materials, mainly in structures of machines, using concrete-reinforced thermosetting resins and granite synthetic, a mixture of granite and resin epoxy, but it is difficult to displace the grit or traditional grey cast ironwhich continues to be a cheap and effective, material of which also are very well known characteristics and behavior in time. It should be noted positively the development of machine tool of parallel structures protura type, specialty in which the Tekniker technological Center has acquired good experience over the past years. They have the advantage of being very simple in its architecture, but still no good for big powers, being its complex programming. In the mechanical aspect is evolved, although it should be noted the development of high speed rotation mandrinos used in the "high speed milling". As for the drive of displacement, notably in certain applications the gradual introduction of the so-called "linear motors". The great advantage of this system is that it allows to reach high speeds of displacement, significantly decreasing the friction in the absence of any physical support between rotor and stator. During the past twenty years there has been a very positive development in the manufacture of tools. The design of chips designed with new forms geometrical, adapted to the characteristics of the material and its process of machining, has significantly improved the performance of the cutting tools. Complementarily, the technique of coating in manufacture of hard metal tools, coated with a thin layer of nitride or carbonitruro of titanium by means of the procedure of chemical deposition of vapor (CVD) has contributed very significantly to the increase in the production of modern CNC machines. With the same positive results, a complementary to the previous coating process, which is done by physical deposition by vapour (PVD), is mainly used for coating the steel. The CBN (Cubic Boron Nitride) cubic Boron Nitride has many uses in machining, initially noting its use in the automotive industry, the grinding of high production, grinding of full Court and centreless grinding. The basic discovery of this material by R.H. GE Wentorf part dates back to 1957. It should be noted that, with the emergence of PCBN (Polycrystaline Cubic Boron Nitride), produced new types of tools for various applications: milling, turning, etc. This material allows to submit to the tool to greater efforts (e.g. interrupted cutting and very hard materials), and can achieve high speeds in machining and/or increased capabilities of startup material. Thanks to the CBN and PCBN, are under investigation new machining processes to further ensure special attention to the environment. Today we can speak of the ecological machining. Finally it should be noted that the Spanish industry, which began in the early 20th century in a shy way and one hundred years later the manufacture of machine tools, dragged a technological gap impossible to recover until in 1982It reached the train of new technologies at the moment in which were taking place. Making a great effort, this sector has been placed now competitive internationally. All this was made possible by the strong investment in r & d, to the creation of technology centres promoted by the Basque Government, the work done by AFM through Invema and technology centres of company type Ideko in the Danobat groupFatronik, Ona one, etc.